we often wondered aloud on the blog, which of the many signed cheques, autographs and contracts bore the real signature of Errol. If we assume that at different times his business procurator Al Blum, third wife Pat Wymore and young assistent Ronnie Shedlo took over the duties of signing off for Flynn, there are plenty of documents for sale that make you question its origin. Furthermore it is safe to say that everybody’s handwriting varies under the influence over the years. Now this is meant to be a forum to compare memorabilia with our Hollywood hero’s lettering and to assign a certificate of Flynnticity. GREAT question and DIFFICULT to decipher Graphological Heinz! 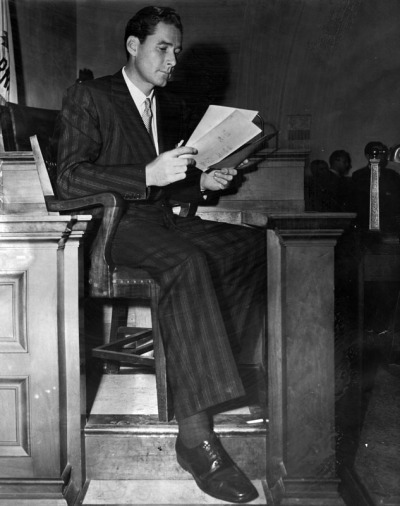 There is quite the variation through the years with a decided change around the time of his legal difficulties. Thereafter, it seems the various exemplars took on an ever accelerating quality. IMhO, any check signatures that I have seen always struck me in keeping with his style of the time. As to Blum’s alleged actions, it may very well not have been accomplished through the checkbook but …dunno. That is a quite insightful site, King Karl, concerning the fleeting fingers of Flynn. Here’s an autograph when Errol was starting out. Even Errol’s signature collection signatures varied, signheinz. Indeed Graphicman Tim. These two box sets shown a signally difference in Errol’s sjgnature. Especially the Fs vary. Scriptographer Heinz… you are beginning to cause an assembled “convocation” of scribblings! And Lord Tim, always ferreting out not only the unique but~ bringing forward to our attention as well what is so obvious yet often MISSED! That is to say, a cursory examination of these “boxy” cursives proved elusive to MY lazy eyes! I happily add still another which I always thought to be circa 1941 and Harry’s special contribution here confirms it! Good challenge of yours here Herr Heinz! Courtesy of the Errol Flynn Society of Tasmania Inc., we can see here which signature made the cut for Errol`s star on Hollywood Boulevard. After all they may all be legit, King Karl! This is a dedication of the later years and shows an E resembling a G and the F very 7 like. I don’t know if Flynn was at great tipper, but he sure was a gracious autographer. So therefore Porterman Tim I’d say the hurrieder the more Errol. I praise your efforts and throw you a bone! In fact, several of them- in YOUR effort to create a “homegrown” record for a tale of the flow of the ink, through the years. There are some RARE ones here (ALL of them screen captures)! “1934” was from a Malvern Film Festival program in which the entire cast signed. The Robin Hood signature would be either late 1938 or early 1939- I’m again guessing. Holographic Heinz… I salute you in your quest for debunking all facsimiles both foreign and domestic, but… we may well be forgetting our ABCDEFs, and a possible tie in? I’m referring, of course, to one of the most noble of America’s young men groups, circa 1942, and previously noted here: American Boys’ Club for the Defense of Errol Flynn. Now, do you really think Flynn would pass on to these fresh-faced, starry-eyed worshiping youth, anything less than… THE BEST? All kidding aside, IMhO, I DO think this is yet another (variational) exemplar of a true specimen, albeit a laterally compressed one. Buckley being on the A- team of the ABCDEF. That sure is a lot of autographs, warnerheinz. Maybe even more than a lot. 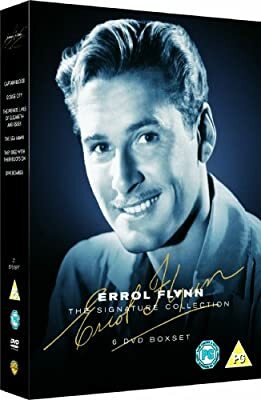 Courtesy of EBay, here is what I think a real deal Errol Flynn. At 19:09 in this video is seen a signature unquestionably by Errol – possibly the only one witnessed (by millions) with 100% certainty to be by Errol’s own hand.